Congratulations to our friends for having such a successful year! From product to personal, we flourished on every level. It's always overwhelming to think about how far we've come as a company every time December rolls around. From all the peaks and valleys our ever-changing industry likes to throw at us, to the personal triumphs and challenges we experience as a team, each year is always one to remember. But this time, 2018 took the cake. It was 365 days of twists, turns, and far more shining moments than ever before. For the digital publishing ecosystem, it was a turbulent year overall. But we're proud to have navigated it successfully alongside our clients, audiences, and colleagues to come out on top. We had a year of fun, explosive growth both company-wise and personally as a tight-knit team that just happens to live all around the world. Here's a look back at this momentous year in RebelMouse history. Facebook's so-called "friends and family" algorithm update at the start of 2018 charted the course for the rest of the year. While the deprioritization of news in Facebook's News Feed resulted in devastating shutdowns for some publishers who relied heavily on the platform, we knew early on that the sweeping change would be an opportunityfor publishers — and it was. 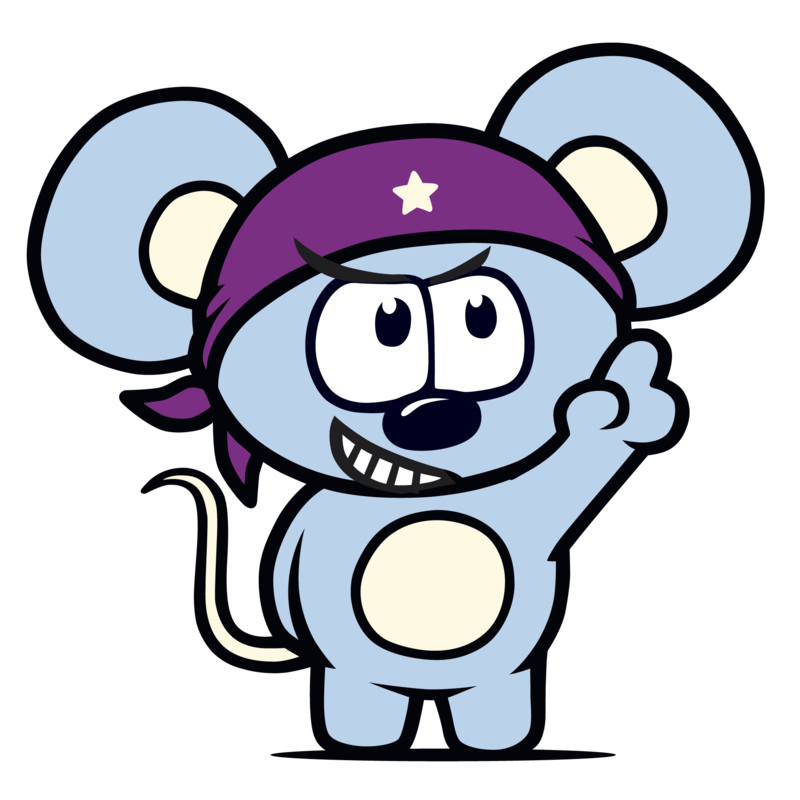 Making sense of the new way to publish was an exciting time for an enterprise-grade publishing platform like RebelMouse. While we've always embraced social and the audiences they bring, the algorithm change allowed us to fall in love again with areas that also fuel growth, such as search and site performance. In 2019, it's going to be gratifying to continue watching the decline of platform dependency, because we think publishers should take back control of their content and revenue. As the hangover from Facebook's algorithm shift began to wear off, we took stock of what the social ecosystem looked like in its aftermath. It was actually quite positive. At RebelMouse, our developers have been preparing for massive shifts like Facebook's update since we launched back in early 2012. Born in the age of social, our product has adapted nicely to the countless pendulum swings the tech giants have thrown at us. Am 25. Mai 2018 ist es soweit. Der Tag des Jüngsten Gerichts! Die 2016 verabschiedete EU-Datenschutzgrundverordnung tritt nach der zweijährigen Überbrückungsphase in Kraft. Was für den Verbraucher ein Segen ist, stößt dem in der EU tätigen Unternehmer erst einmal sauer auf. Vor allem, weil die Strafen für Nichteinhaltung wahnsinnig hoch sind. Aber was ist die DSGVO eigentlich und warum gibt es sie? Wie heilig ist die Digitaletransformationskuh ? Toningenieure wären gerne Rockstars geworden, Automechaniker eigentlich Rennfahrer, Hairstylisten eigentlich Model. So sagt man. Der Professor für Medienwirtschaft wäre gerne Pilot geworden oder, wenn nicht, dann wenigstens Günter Jauch. Bei Lufthansa haben sie mich aufgrund der Körpergrösse schon bei der Sichtung ausgeladen und dann war die Marktlücke für einen Jauch durch denselben schon besetzt. Der macht zur Weihnachtszeit Jahresrückblicke. Und weil ich mein altes Trauma dringend verarbeiten muss, werde ich ihm diesmal voraus sein. Ich schreibe einen Jahresrückblick auf das Jahr 2017. Wie es gewesen sein wird. Ist das nicht ein „Plusquamperfekt futur"? Noch kein Fan? Folgen Sie uns!